Three stories from the collection of short stories were dramatised as the Afternoon Play for Radio 4 in 1999 by Malcolm McKee who also composed the music. It was directed by Sue Wilson. Author’s note: These three stories came out in a collection called In Deep Water but this is now out of print. However, two of the stories, which were broadcast, appear in Be Yourself. This is a collection of past stories and one new one. The picture of the jacket is on the website with the novels. Although there is a lovely picture of two girls on it, most of the stories are about boys. The new story, ‘Sorry!’ is a correspondence between two cousins who need someone to complain to about their terrible parents. One has a mother who is so house proud that her son is convinced she hoovers the toothbrushes and the other cousin has a father who obsessively collects junk. “Now that the Geneva Convention seems a dead letter, no one of any age can feel safe in warfare. This collection of stories focuses on such hard truths rather than the simple-minded heroics that marked children’s war books of old. There are fine stories about fighting in Iraq (Celia Rees) and conflict in Palestine (Elizabeth Laird), but it’s still the Second World War to which most writers turn. Only Geraldine McCaughrean, as always, steps away, to the Crusades. Otherwise, Hitler remains synonymous with history for young readers. That said, there are some remarkable offerings on this theme, particularly from older authors who were there. Nina Bawden writes beautifully about an Italian prisoner working on a farm. Eva Ibbotson is equally impressive. Her tender story features a refugee child who prefers to stay with the family who looked after her rather than return home in 1945. Both stories have a ring of truth, drawing on autobiography. The editor, Michael Morpurgo, writes a fine story about facial disfigurement, a topic not featured in most lavishly illustrated war books. A collection of short stories about water and the sea. 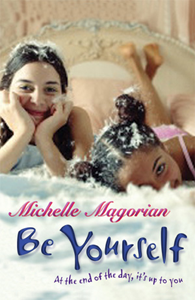 An inspirational collection of short stories about learning to trust your own identity.